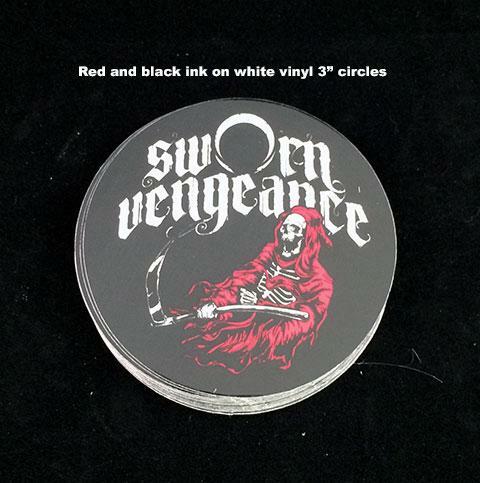 Red ink and Black on white vinyl stickers includes twenty-seven sizes of stickers. Red and Black U.V. ink screen printed on white 3.25 mil vinyl with permanent adhesive and a no split liner. These stickers are suited for outdoor use and should last 3-5 years with no fading. Full bleeds on all sizes are allowed at no extra charge. Images must be 1/8" away from the edge or we are not responsible for the accuracy of the cutting. Images that run off the stickers are allowed, but we will not be held responsible for the accuracy of the image placement, or cutting. Images can have borders, but they must be at least 1/8". 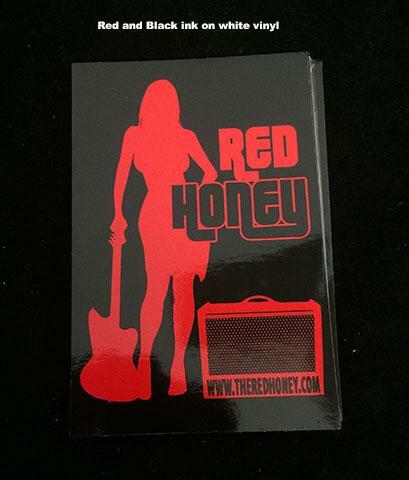 You can order from 250-1000 stickers in this category. 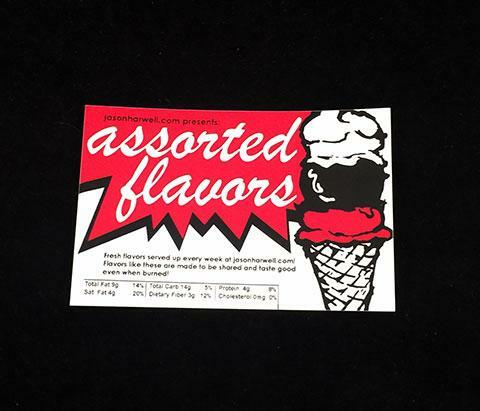 For more options such as different ink colors, stocks (vinyl material) or other die-cut shapes we don't display here see our Custom Color Stickers or Full Color Stickers catagories. Gang Run Stickers? - These stickers are "ganged" up on a large master sheet to help reduce the costs. This allows us to offer set sizes that maximize our sheet and help your dollar go further. How this works is your order and several other customers are all spaced and lined up in such away as to maximize the amount of stickers that fit on a larger sheet size. This allows for us to not charge a "setup" fee of any kind. The drawback is that from time to time it can take some time for a run to "fill" the sheet so we can go to press. If you need faster turn around time or need us to make a specific deadline you may want to order more stickers (1000 or more) to move your order from a "gang run" to a custom sticker. 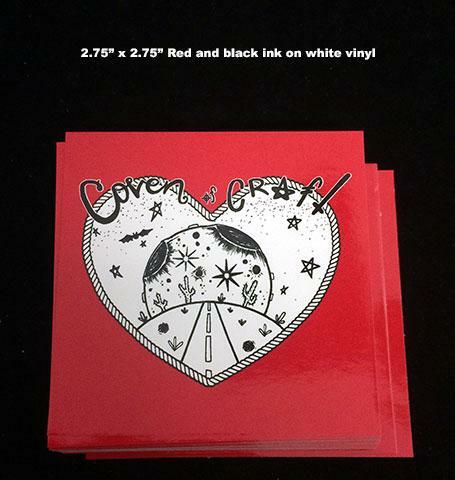 Custom screenprinted stickers are run solo, hence the slightly higher costs, but they normally ship in 5 days or less. Caution - Halftones, or shaded images are not recommended on screenprinted stickers. If you need that black and white photo look you need to purchase a full color digital sticker. Screen printed halftones are produced at 55LPI which is less than a black and white newspaper quality. 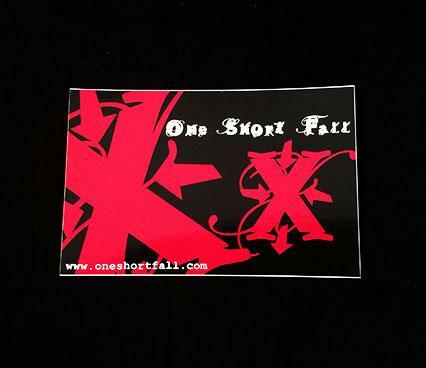 Want even cheaper stickers and don't mind our url on it?